Missouri Education Watchdog: What Does Common Core Have in Common with Mad Men, Cardboard Bicycles and other "Ambitious Products"? 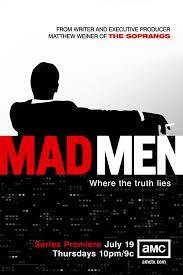 What Does Common Core Have in Common with Mad Men, Cardboard Bicycles and other "Ambitious Products"? "Where the truth lies"...appropriate in describing Common Core claims? "We are sorry that we cannot disclose details how everything functions, but we have to protect ourselves." That always sets of warning bells. Often (though, not always) when companies are totally secretive about key aspects of what they're selling, and claim to have done something amazing, it means that they're missing something big -- something that people would tell them if they'd just share. The above snippet from Techdirt.com sounds a bit like how Common Core operates. The Council of Chief State School Officers doesn't quite know how Common Core will be implemented or how much it will cost, but we are to trust the the education reform of the day is the magical mandate to make kids smarter and more competitive. How the CCSSO proposes a common set of standards can lead to exceptional results begs a suspension of rational belief but that's what the American people are supposed to accept from this private trade organization funded by federal stimulus dollars. First up, we've got The Cardboard Bike. It is exactly what it says. The design is really quite impressive looking, though there's little to no information beyond that: how well does it ride? How durable is it? In fact, the project's main video is much more about how the two guys who teamed up to do this have a vision of building all sorts of things out of cardboard and "changing the world" with cardboard. It's a lovely vision, but... it seems like they skip over the first part, about convincing people that the product they're offering, the cardboard bicycle, is actually worth buying. They just keep talking about how cardboard is a "game changer" for building anything. That might be true, but if I'm buying a cardboard bicycle, convince me that the cardboard bicycle makes sense first. They admit that the whole reason they build one in the first place was because everyone said it was impossible, but then they don't explain how they get past the limitations of cardboard. They just leave you wondering. So... more information needed. Having quick, tested messages on hand can go a long way when advocating with new groups of stakeholders or helping existing advocates stay on message. 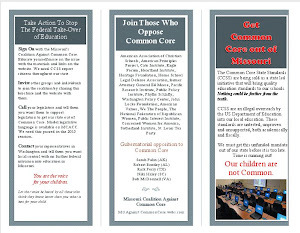 Below are two 4 x 8 messaging cards, with key messages on the front and critical facts on the back, to be shared with other advocates of the Common Core State Standards and common assessments. 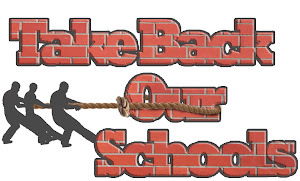 Public education has been taken away from local communities and now needs "messaging" to schmooze taxpayers into believing how wonderful the centralization of education is for students. Cardboard bicycles, Mad Men advertising schtick and free phone communications for everyone. What could go wrong?